We're four episodes into The Walking Dead: Season 2 and the big finale is coming this week. So where have we been? 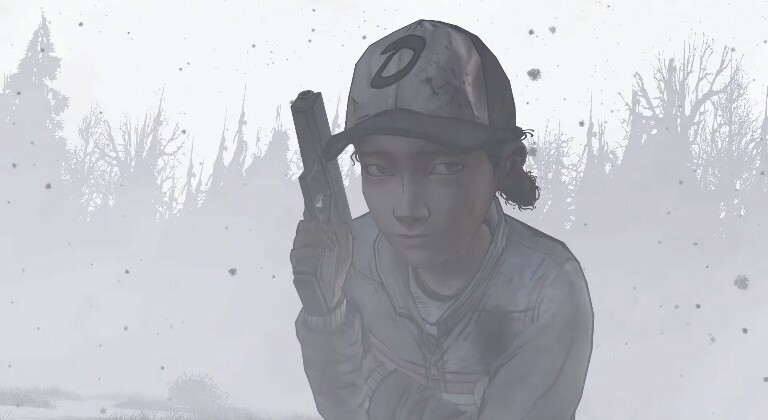 And more importantly, where is the story of Clementine potentially going for the season's final episode? Warning: Story spoilers for The Walking Dead: Season 2 ahead. If you haven't played through Episode 4: Amid the Ruins, turn back now. 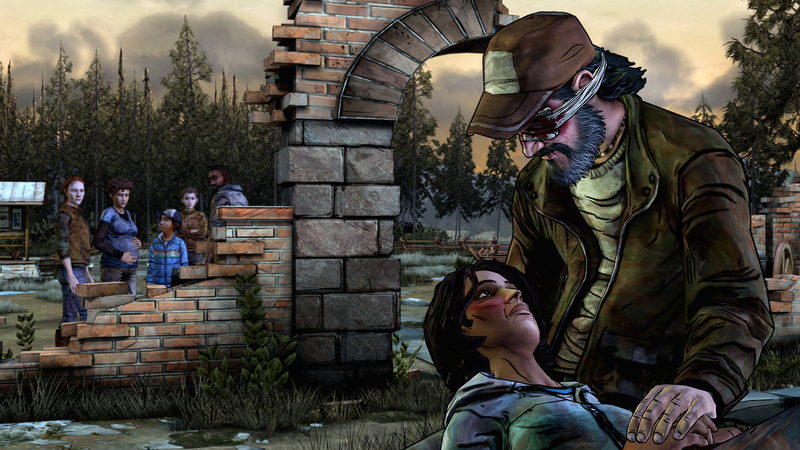 Telltale is ready to bring The Walking Dead: Season 2 to a close this week. And while it may have had its problems, there's no denying that it's shaping up for a tense finale. What the finale entails, however, is ripe for speculation. Astute followers of the series since day one will notice that the end of Episode 4: Amid the Ruins did not feature a preview for the next episode. This is extremely rare for Telltale and a good indicator that they're holding their cards very close to their chest in regards to how this season of The Walking Dead will end. With that in mind, let's re-visit where the season has gone and how it's likely to end. The Walking Dead: Season 2 opened up with a party of three. 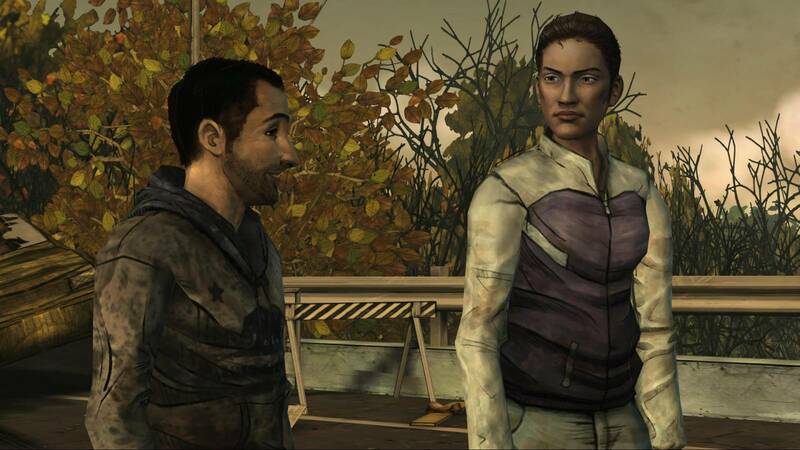 Regardless of how you had Lee respond to the Season One question of where Clementine should go after he died, it had become apparent that she wound up with Omid and a pregnant Christa. And as it turned out, they were doing pretty well as a tightly-knit group. That is, until Omid was accidentally killed by a would-be thief. Things got no better from there. The story fast-forwarded from there, with Clementine and Christa (who was noticeably not pregnant anymore and without a child) in the wild alone. They were quickly separated by a group of bandits, setting up Clementine's solo journey. Curiously, Christa has not been mentioned at all since Clementine first found her discarded backpack near the river at the end of Episode 1. She hasn't been confirmed dead, which leads me to believe that this element will be addressed. I had originally expected Christa to pop up in Carver's camp, but that did not turn out to be the case. With that said, I fully expect Episode 5 to dive into Christa's ultimate fate. When Clementine found Kenny, he had rebuilt his life following a brutal Season 1 that saw him lose everything. Kenny somehow survived his suicidal rush into the walker onslaught at the end of the first season. Not only that, but he had found love again, only to find himself at the end of his rope, once more. Kenny's spiral into depression following Sarita's death is eerily reminiscent of what happened to him in the first season. In fact, he's even worse off, following his brutal beating at the hands of Carver that left his orbital socket shattered. Clementine has tried her best to reason with him, but a large part of him harbors resentment towards her for not saving Sarita and taking the action that she did. Because of that, he appears less willing to do what it takes to survive. For the second time, he's a man with nothing left to lose. With that, there's a good chance that Kenny won't be so lucky at the end of this season. Whatever goes down in the final episode, I expect Kenny to step to the forefront again and willingly sacrifice himself for the sake of the party. At some point, the spirit just says "Enough!" and Kenny is dangerously close to that point. I made it no secret that I strongly dislike Luke. I feel like his actions have constantly put his group in danger, whether it's the way he handled the escape attempt from Carver's camp in Episode 3 or deciding to stop and sleep with Jane when time was of the absolute essence in the last episode. Frankly, I feel like the guy's a bit of a doorknob. With that out of the way, if there's a time for Luke to step up and be a real leader, the time would be now. The little information we got from Episode 5 indicates that the group will find itself separated, following the gunfight with the Russian bandits. If Clementine is unable to get herself through the blizzard, it'll ultimately fall on Luke to rally what remains of the group. And honestly, his character arc does leave an opening for him to come through. He's already let his group down by letting them get captured by Carver, bumbling their escape, and by repeatedly undermining his group's own efforts by constantly arguing with Kenny. He's done very little to act as someone worth rallying around, but we saw a similar redemption arc from Ben in the first season. If Luke's story follows Ben's in any way, I'll expect to see him step up in the final episode, even if he doesn't necessarily make it through to the end. This is the most pressing question in the wake of Episode 4's ending and the lack of an Episode 5 preview. Telltale ended on the most suspenseful of cliffhangers by ending on the gunfight with the Russian bandits, indicating that not everyone is going to walk away. But while Telltale has been master at ripping out people's hearts, just as well as the source material, there's really two viable ways the story will go and it all revolves around the brief clip of Clementine alone in the snow. First, there's a good chance that the group will end up separated in the fracas. With the Russian survivors seemingly having them outnumbered and outgunned, the group may determine that the best strategy is to run. Since they're flying by the seat of their pants at this point, it's likely that Clementine will find herself alone and spend the final episode trying to reunite with everyone. If Season 2 stands out for anything, it's for taking someone that started out as an innocent child and turning her into a hardened survivor. Clementine has overcome every stigma attached to her young age and has become a far stronger person than anyone she's come across over the past four episodes. She's not only the best character in this game, but she may be the single best character I've seen in a game all year. She's constantly shown herself to be resilient. In Episode 1, she survived getting separated from Christa and survived a walker attack when locked in the woodshed. In Episode 2, she risked getting caught by Carver's crew to retrieve Kenny. She risked her life many times in Episode 3 to survive Carver's camp and kept her composure through all the abuse he dealt her. And in Episode 4, she became the heart of the group when she dealt with a grieving Sarah and a despondent Kenny. Whichever of the two scenarios above unfold, Clementine's Season 2 story will come full circle. She'll find herself alone, once again. She's had several harrowing experiences to learn from, meaning she's far more equipped to survive on her own. Like Jane, Clementine is well-equipped to carry on without her group and I have no doubt that she'll make it through the final episode. However, there looks to be one major difference for Clementine this time. The promotional image for Episode 5 reveals that Clementine is carrying Rebecca's baby. The real question becomes, what obstacles cross her path in this final episode? 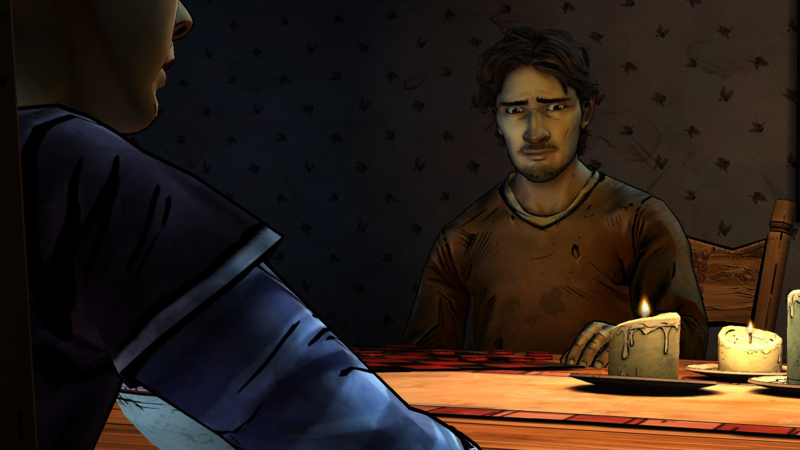 Telltale has made it a point to emphasize that the player will determine what kind of person Clementine becomes. She's already been in situations where she's had to leave her friends behind to die or stand and watch as a man is brutally murdered before her eyes. Having been through all of that, what could possibly await her in the final episode that could be any more intense than that? Well, it should be noted that Clementine was noticeably not holding the baby anymore during the most recent trailer, indicating that she may have a truly gut-wrenching choice to make involving Rebecca's child. Whatever she does find in this season finale, though, expect it to play a major part in who Clementine becomes for the upcoming Season 3. 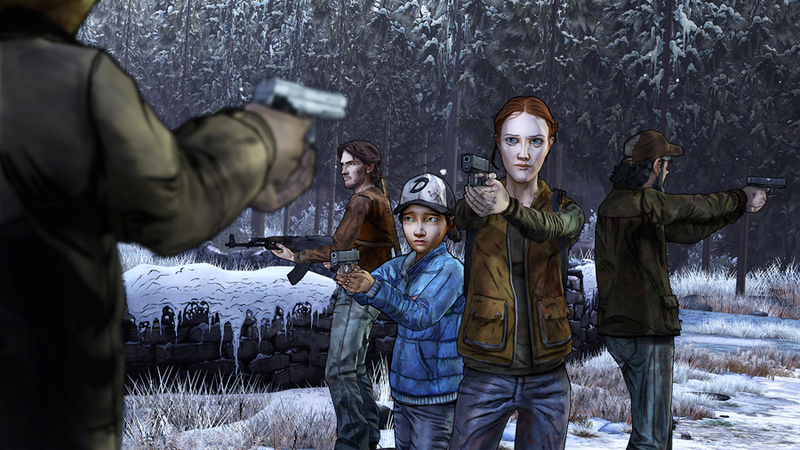 How do you think Telltale's The Walking Dead: Season 2 will end? Feel free to add your two cents in the comments below. Just remember to use spoiler tags where necessary. Ozzie Mejia posted a new article, The Walking Dead: Season 2 - Where we are and where the season finale is going. The finale is tomorrow, my friend. There are so many scenarios available that could play out in the finale, and I can't wait to get my hands on it.